"The Best Winery in Oklahoma!" 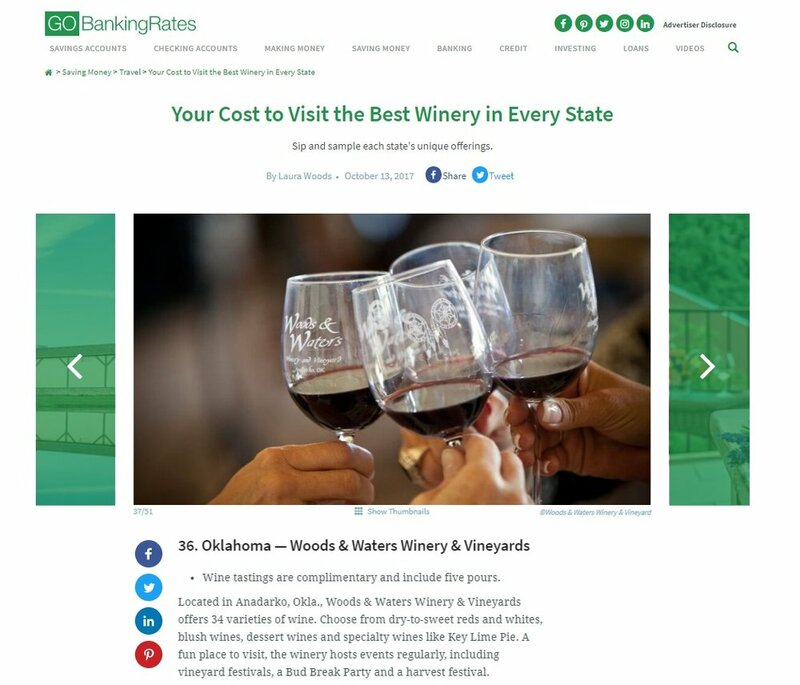 We are so excited and honored to be named the best winery in Oklahoma by GoBankingRates.com! This is a small sample of the awards we have won. We are in the process of getting them all photographed and on the site. Going forward, we promise we'll do better! We were thrilled and honored to receive this prestigious award for the second year in a row at the Oklahoma State Fair! We were mighty excited to win an award we didn't even know they gave! Our soon-to-be-released Black Amethyst label won for its label. It also won a Bronze for what's in the bottle!